Moxy Hotels, Marriott International's lifestyle brand, is opening a property in Oslo. Scheduled to open in autumn 2015, the 229-room Moxy Oslo Exporama will be located approximately 15 minutes from the both the airport and the city centre. Moxy Hotels are designed with the latest in technology so guests can connect amidst inviting social spaces with self-sufficient service elements. Features include "Plug and Meet" meeting spaces throughout the public space, designed with stylish ergonomic seating, writing walls and large television screens for presentation projection. The lobby space will also include state-of-the art computers available to guests and a 24/7 market for snacks on the go. 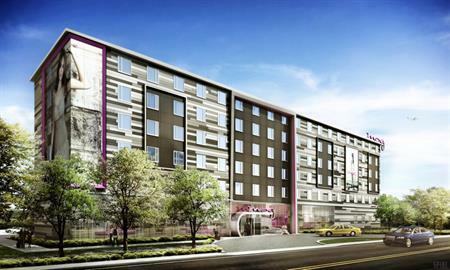 The first Moxy Hotel will debut this September at the Milan Malpensa airport in Italy. Visit C&IT's Norway Destination Guide here.